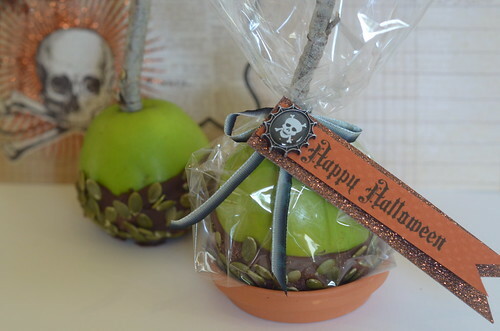 I am so excited that October is JUST around the corner and soon I'll be able to decorate my home with miniature gourds, black cats and glittery spiders. I do love my holidays, and Halloween is right up there near the top of my favorites list. 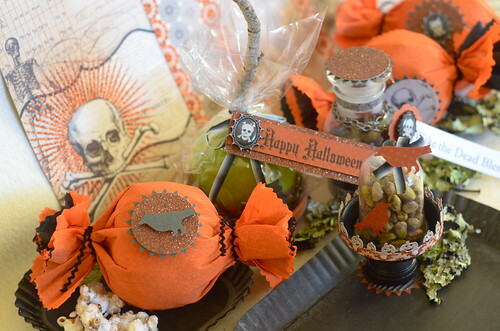 I've already started my Halloween crafting - with the Fiskars projects, we work months ahead. Here's a peek at a few pieces that will be posted on their website soon. 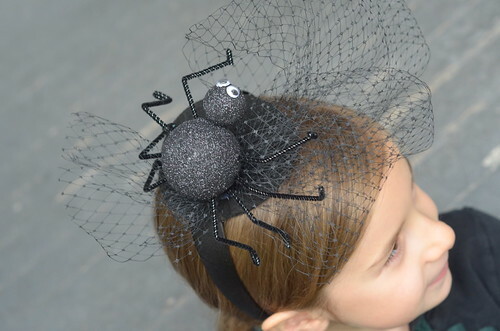 And the instructions for these little Halloween headbands are already available HERE. 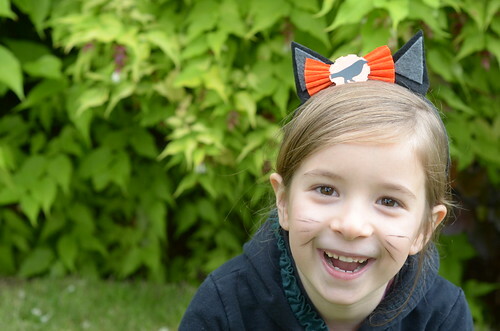 Thanks to my little friend, Opal, who was kind enough to model for me. How totally precious Opal is!! As usual, your Halloween designs knock me out. Meghan and I will have fun making these.